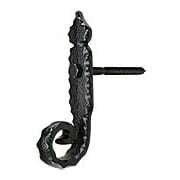 Just as in Colonial times, skilled artisans hand-forged this curled iron shutter bolt. With its rugged back plate and authentic character, it is ideal for Colonial, Tudor, or Spanish-style homes. The surface is phosphate treated then lacquered, for rust-resistant, long-lasting wear. This Romantic Revival shutter bolt is tailor made for Tudor, Cottage, or French Country style homes. The hammered back plate and curled bolt give it a wonderful artisan character. Made of rust-proof cast aluminum with a satiny black powder coat. When security is a priority, this heavy duty shutter bolt does the job. Crafted from 1/4" thick cast iron, it's as strong as they come. Finished with a black primer coat (paint prior to installing). The bolt on this colonial style shutter fastener is nearly 1/2" thick - the thickest and strongest we know of. Made of very heavy duty cast iron, it keeps your shutters securely battened down. Finished with a black primer coat (paint before installing). When security is a priority, this heavy duty shutter bolt does the job. Crafted from 1/4" thick cast iron, it's as strong as they come. Finished with a black powder coat. 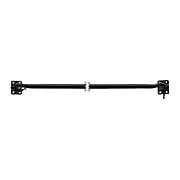 Secure your shutters against coming storms with this sturdy "hurricane" slide bolt. With a long catch plate and a 3 1/8" throw, it balances the fastening force across both shutters. Made of solid cast iron with a black primer coat. This extra heavy-duty shutter bolt is as strong as they come. Made of rust-resistant stainless steel with a durable black powder coat, it will withstand the elements, season after season. The classic colonial styling goes with any traditional or rustic home. 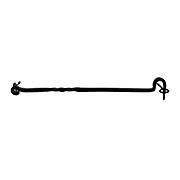 This old-fashioned hook & eye is a reliable way of holding your shutters open or closed. Hand forged from solid bronze, its both strong and durable. The surface is lightly weathered, but not lacquered and will gradually darken with time. A simple twisted rod and a pair of eyelet screws add up to a rustic yet stylish shutter fastener. 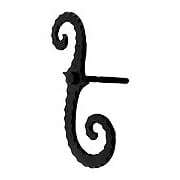 The Spanish / Tudor design is rendered in forged iron and galvanized with a protective black powder coat. Also useful as a door hold. 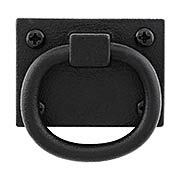 A rough textured surface gives this shutter ring pull an old-world feel. Use it on Colonials, Tudors or any Romantic style of home. Cast from solid iron, nearly 1/4" thick! Powder coated. 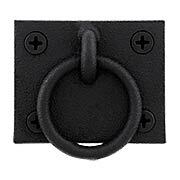 Forged from solid bronze, this heavy duty ring pull has a wonderfully rugged and authentic quality. Designed for pulling your shutters closed from inside your house, it's both useful and attractive. Lightly antiqued and left unlacquered. 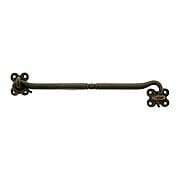 Ornamental as well as practical, this floral ring pull gives your shutters an Old World flavor. 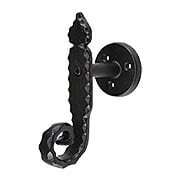 The artful back plate and twisted ring make it the pull of choice for Spanish, Tudor or Mediterranean homes. Made of rust-proof cast aluminum with a satiny black powder coat. Truly a classic, these scroll design shutter dogs are an elegant choice for any style of home. Made of heavy duty stainless steel and powder coated black. 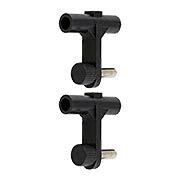 Easily mounted to masonry with the included lag bolt. 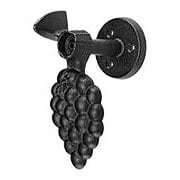 A traditional symbol of hospitality and conviviality, the grape motif is a fabulous way to enliven your home's exterior. Made of heavy duty cast iron, these durable shutter dogs are finished with a rust resistant black powder coat. 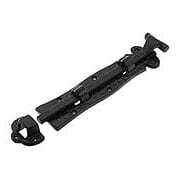 Easily attached to wood siding with the included mounting plate and post. These large and finely cast scallop design shutter dogs are ideal for coastal homes. Made of heavy duty cast iron, they're finished with a rust resistant black powder coat. 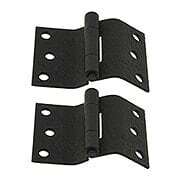 Easily attached to wood siding with the included mounting plate and post. Hammered edges, a rough texture, and an artfully curled tail give these sturdy shutter dogs an authentic colonial flavor. Made of heavy duty cast iron, they're finished with a rust resistant black powder coat. 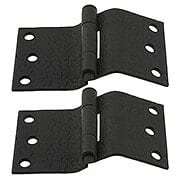 Easily attached to wood siding with the included mounting plate and post. 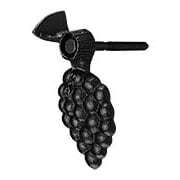 A traditional symbol of hospitality and conviviality, the grape motif is a wonderful way to enliven your home's exterior. 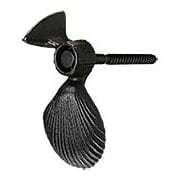 Made of heavy duty cast iron, these durable shutter dogs are finished with a rust resistant black powder coat. 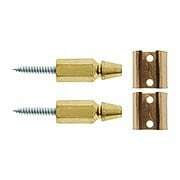 Easily mounted to wood or masonry with the included lag bolt. 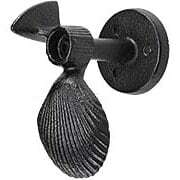 These large and finely cast scallop design shutter dogs are ideal for coastal homes. Made of heavy duty cast iron, they're finished with a rust resistant black powder coat. 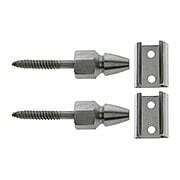 Easily mounted to wood or masonry with the included lag bolt. Hammered edges, a rough texture, and an artfully curled tail give these sturdy shutter dogs an authentic colonial flavor. Made of heavy duty cast iron, they're finished with a rust resistant black powder coat. Easily mounted to masonry with the included lag bolt. These premium stainless steel bullet catches are an alternative to traditional shutter hold backs. Mounted to the wall and to the back of the shutter, they leave the front completely free of hardware. Contains enough hardware for one window. 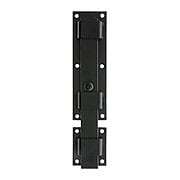 These brackets made of plastic and stainless steel can be used with all of our lag mount shutter dogs. Fits up to a 3/8" diameter lag bolt and is easy to adjust. The brackets hold the shutter panel and dog together firmly to reduce rattling in the wind. 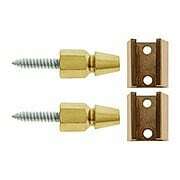 These Small Brass and Copper Shutter Bullet Catches are an alternative to traditional shutter hold backs. Mounted to the wall and to the back of the shutter, they leave the front completely free of hardware. Use one for each shutter. Rugged meets refined in these large size classic scroll design shutter dogs. With their elegant profile and hammered texture they beautifully compliment any style of home. 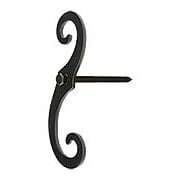 Made of heavy duty cast iron, finished with a rust resistant black powder coat. Designed for masonry applications. This extra long hook & eye also works great as a Bahama shutter stay. Use it to hold them open or securely closed. 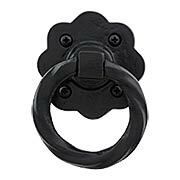 A satin black powder coat helps prevent rust and coordinates with most exterior hardware. When security is a priority, this heavy duty shutter bolt does the job. Forged from 3/16" thick 304 stainless steel, it's as strong as they come. Finished with a black powder coat. 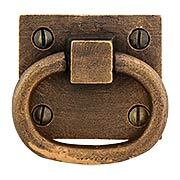 A rough textured surface gives this shutter ring pull an old-world feel. Use it on Colonials, Tudors or any Romantic style of home. Forged from 304 stainless steel, nearly 1/8" thick! Powder coated.